VIHAR-2017 is the first international workshop on Vocal Interactivity in-and-between Humans, Animals and Robots. Taking place at the University of Skövde in Sweden on 25-26 August 2017, VIHAR-2017 aims to bring together researchers studying vocalisation and speech-based interaction in-and-between humans, animals and robots from a variety of different fields. VIHAR-2017 will provide an opportunity to share and discuss theoretical insights, best practices, tools and methodologies, and to identify common principles underpinning vocal behaviour in a multi-disciplinary environment. VIHAR-2017 is scheduled to take place as a satellite event immediately following INTERSPEECH-2017 (which takes place in Stockholm) and it is supported by the International Speech Communication Association (ISCA). We are aiming to keep the registration fee as low as possible. 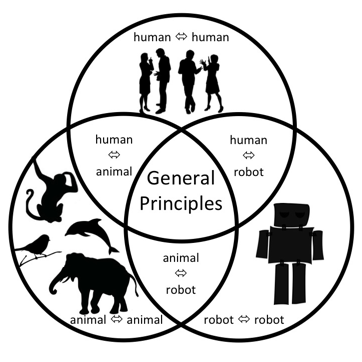 We invite original submissions of five-page INTERSPEECH-style papers or two-page extended abstracts that relate to innovative topics in any area of vocal interaction in-and-between humans, animals and robots. Each submission will be reviewed by at least two members of the Scientific Review Committee. Accepted submissions will be published in the (indexed) VIHAR-2017 Proceedings. If you wish to join the VIHAR community, you can read more about us here and subscribe to our mailing list here.